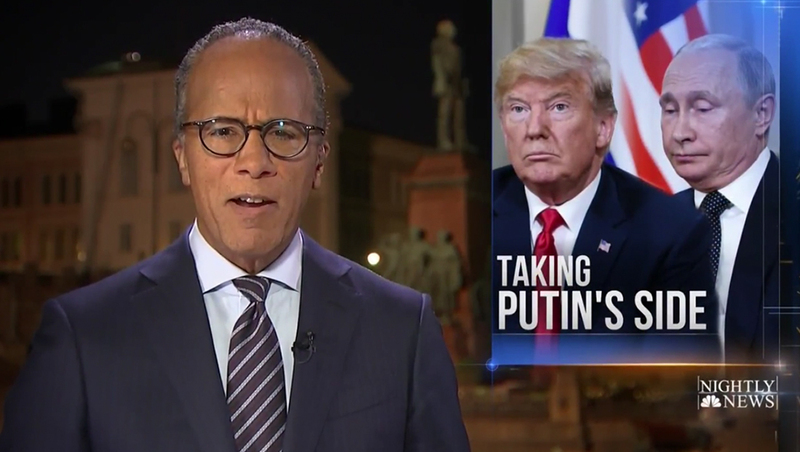 All three of the major broadcast networks lead with the summit in Helsinki, Finland between Donald Trump and Vladmir Putin — though one did not have its anchor on scene. 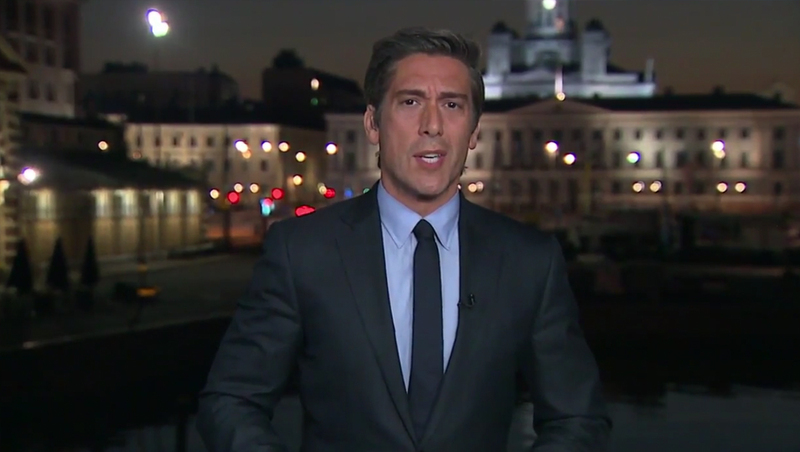 “ABC World News Tonight” anchored from Helsinki, with anchor David Muir in front of a lighted cityscape. The broadcast lead with the story before moving on to additional coverage of former FBI director Robert Mueller’s investigation into Russia. 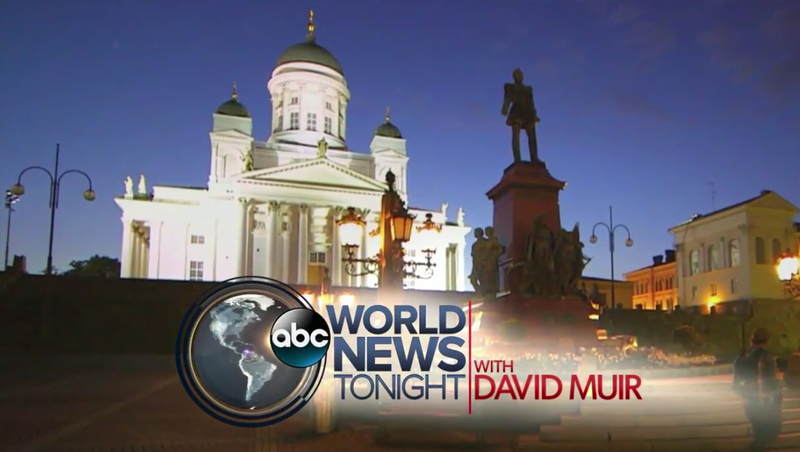 Lester Holt and “NBC Nightly News” also originated from Helsinki, with Holt standing in front of a rather dark and muddy background. 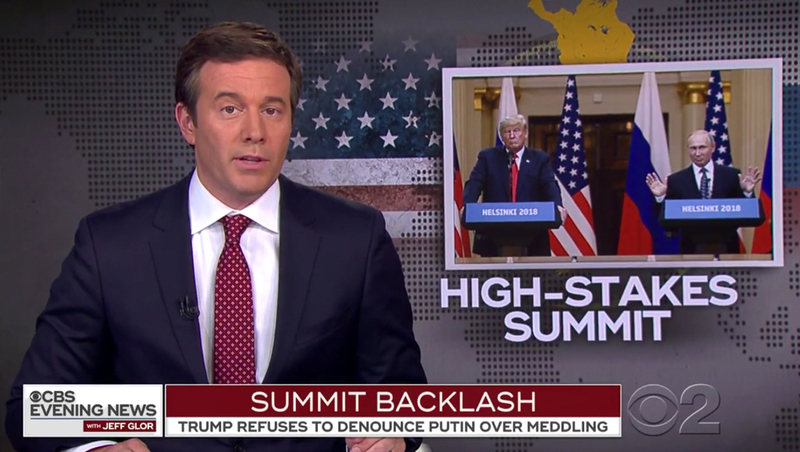 “CBS Evening News” anchor Jeff Glor originated from New York City, having traveled back from Edinburgh where he taped an exclusive interview with Putin. The interview was featured prominently in the newscast and the summit was the lead story, as well as being featured in the “headlines” segment at the top of the show.